I was supposed to blog days ago but i came back from wrong island and promptly got sick. Sick enough that i never made it to the beach to see my grandma before she gets her knee surgery. I'm a little bummed about that but now that i'm better i can finally get to one of the goals i set for myself this year which was reading challenges. I never do them but last year was my first year of not having to read a textbook plus i got a Nook as my graduation present and i was stoked. Last year i read 22 books. I started far more. I joined a few groups dusted off my goodreads account and went to it. This year i decided to go a little further. I recently upgraded to a Nook Simple Touch, and C1 even got a Nook Color for xmas. I need to stop letting her win all the reading reading awards in this house. My first accepted challenge was from Goodreads (clicking the link will take you to my profile to friend me). On my sidebar you will see a widget where i'm going to attempt to read 36 books this year. I figure 3 a year is a reasonable goal. My next challenge is from BethFishReads. She's doing a very unique challenge and that's what drew me into it. Its called Whats in a Name? There's only 5 you have to read but they have to follow criteria which are unique themselves. Each category has guidelines and i will attempt to be creative to fit into them. 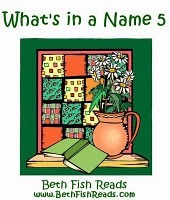 I also decided to do my friend Julie's non-fiction challenge over at My Book Retreat. What makes this one challenging is memoirs don't count. I love reading memoirs so this is especially difficult. I'll consider it a success if i manage to get 5 done. My last challenge is to read at least half of all the book club books. I'm in 2 book clubs and i never read the books. So i'm going from zero to something and that's a start! I've made a shelf in goodreads so i can keep track of which books are book club picks and how i do for that challenge. So is 2012 your year to read? if so tell me about any reading goals you set for yourself.